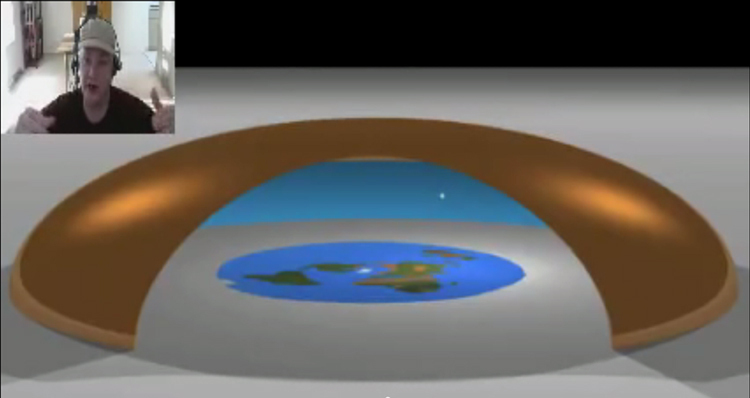 Computer game expert and software trainer Mark Sargent is well-known for his Flat Earth Clues series which try to prove that our planet is indeed a flat disc or plane nestled inside a dome or "firmament" just like the Ancients described it. He says that it wasn't untill 1956 that the world's superpowers, namely USA and Russia, woke up to the reality of a flat-planed Earth with a dome around it(using high-altitude rockets) and immediately set about to cover up or keep this a secret. This was done by fabricating the so-called "space race" by launching "satellites" in orbit(1957), creating NASA(1958) as their cover organization, launching contrived missions to the Moon(late 1960's and early 1970's), and releasing fake composite pictures of our "globe"(such as the Blue Marble picture of 1972). It worked and the public bought it and the globe model of our Earth was both preserved and strengthened. Why would they do such a thing? Fear. Money. Control. But it's all unravelling now as the people wise up thanks in large part to the Internet. The nuclear detonations of the 1940's and 1950's were not just to achieve military superiority, but were later(1958-1962) used to try and pierce the dome or barrier they had just discovered above them. Whether they produced any fissures is unclear but something stopped them from going further(probably the possibility of causing another great flood). Admiral Byrd was no doubt instrumental to their findings, especially concerning the polar areas, and the information obtained may have been so fantastic it caused a treaty to be signed by 10 nations in 1959(now over 50) discouraging or dissallowing any further exploration of these areas until 2041. What was so fantastic that our leaders themselves could not exploit the vast unexplored resources of the Antartctic and beyond? Mark(and others) says they discovered God or the Creator of our enclosed world, a force they could never match, so they were humbled and retreated and bowed not to go beyond their confines. Unfortunately they have decided not to disclose their findings publicly, leaving us in the dark for over 50 years, but the truth is coming out now and there's little they can do about it. When the astronauts were asked to swear on the Bible to tell the truth about what they knew they could not do so. Why? Because they knew the truth about God or whoever is ruling this realm and feared retribution, but were sworn to secrecy by the government. When the truth is revealed, as is now being done, Mark says NASA will be disbanded , astronomical observatories will close, astronomy and astronomers will be ridiculed, and the government and military behind it all will be chastised but forgiven. The world's major religions, on the other hand, will see an emboldening or revival as they all support the scriptural descriptions of a flat Earth. Mark says we are not the first tenants of this particular Earth plane, as the underground and underwater ruins attest to, and he strongly believes the enclosed model, when revealed and accepted on a mass scale will bring us closer together as a human family and diminish wars and conflicts. He believes this enclosed Earth is purposely designed by its Creators to bring out the best in us by challenging our gifts and abilities. That a lot of movies like The Truman Show, Dark City, and The Village disclose accurate information concerning our flat Earth plane model. That the Gall Peters projection map of the world shows the the sizes of the continents more accurately than our commonly used Mercator projection. 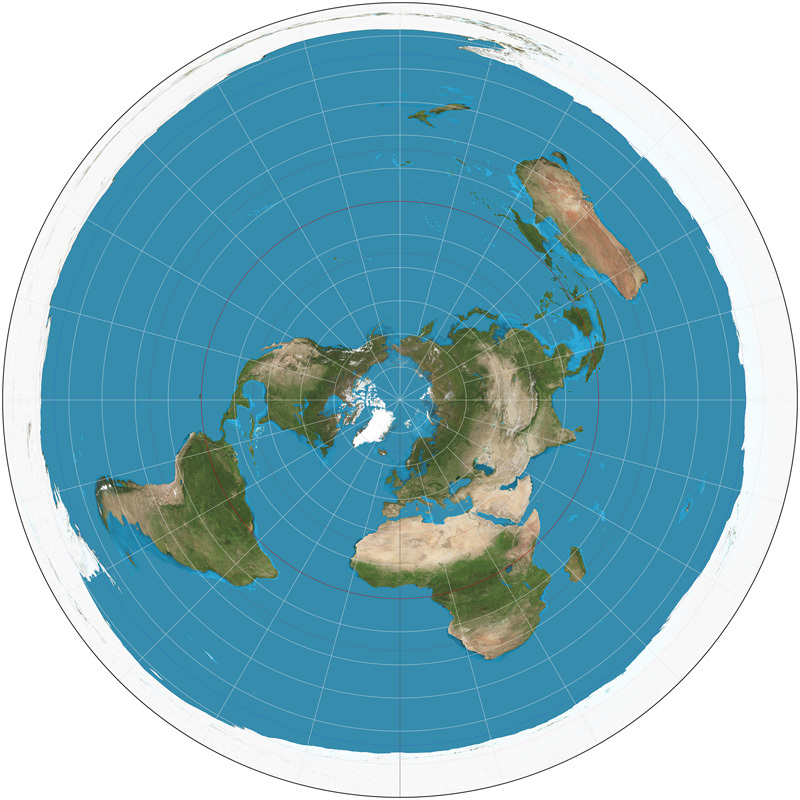 That the Azimuthal Equidistant projection of the Earth used by the UN and USGS are accurate portrayals of the flat Earth model. This projection was originated over 1000 years ago by Al Biruni, a great Persian scholar and scientist. The dome of the Earth is some 100 miles high at the center and made of high density material able to withstand even nuclear bombardment. Upon it are projected the heavenly bodies in ultra HD. The closer you get to the dome the colder it gets discouraging any exploration. Basically only the first 4 miles from the Earth's surface is tolerable to humans. Likewise, the vast oceans surrounding the continents get colder and saltier as you approach the outer Antarctic periphery, also discouraging further exploration. And same for underground exploration(it gets too hot after several miles). GPS is unworkable and actually shut off in flights or voyages in the southern hemisphere to hide the flat nature of our planet. 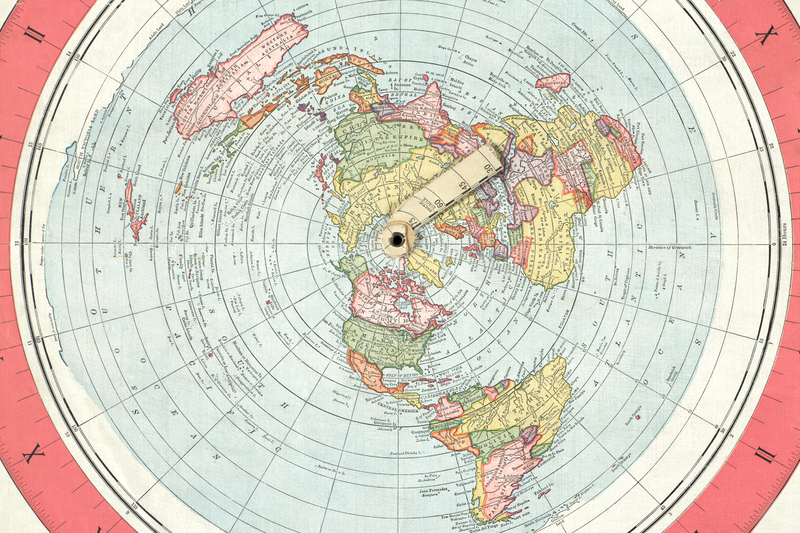 The routes here, when closely examined, are one of the greatest proofs of a flat Earth. The construction of the Pyramids and the Tower of Babel make much more sense in the light of a flat Earth. While the Earth plane itself is circular, it may be nested on a much larger squarish land mass with four distinct corners -to which the sides of the Pyramids are aligned. And if the dome is only 100 miles or so up then it is perfectly feasible for example to build a tower that would "reach unto Heaven". While Mark says that the dome is a good thing there are others who say that the dome is actually a prison and that we are being held here against our will. Is the God who walks above the dome or firmament friendly or inimical to us and is HE/SHE in collusion with our governments. Is the dome in fact protecting us from the archontic demiurges in this sector of the cosmos(John Lash's Sophia)? This may explain the fear of the governments to reveal the awful truth. There are apparently cracks, tears, or controlled openings in the dome, and the Great Rift of the Milky Way, instead of being a packed concentration of stars, may in fact be such an opening. One article says this dome aperture(just like in an observatory) opens once every 3600 years, revealing the Destroyer (Shiva, Nibiru, Typhon, etc) who comes in to purge the Earth on the Day of the Lord. That's when the fake heavens depart or roll up as a scroll. Also the CERN experiments going on now may be another attempt to breach the dome, or more accurately, create a portal or gateway to whatever is on the other side. Personally I see this experiment as totally evil. If it succeeds, it will indeed connect with the archontic astral realms bringing in all sorts of horrific entities and fulfilling the Tribulation prophecies. As far as I'm concerned, it should be shut down and done away with. Gaia herself inadvertently brought us here to this hostile part of the universe and it is she alone who will get us out. It is also she who has probably created the dome and other boundaries to protect us as much as possible from the dangers around us, not to mention kereping the wars out(there is increasing evidence that "outer space" is actually water). Apparently there is a lot that is being hidden from us and are not being told, but I feel that will soon change.